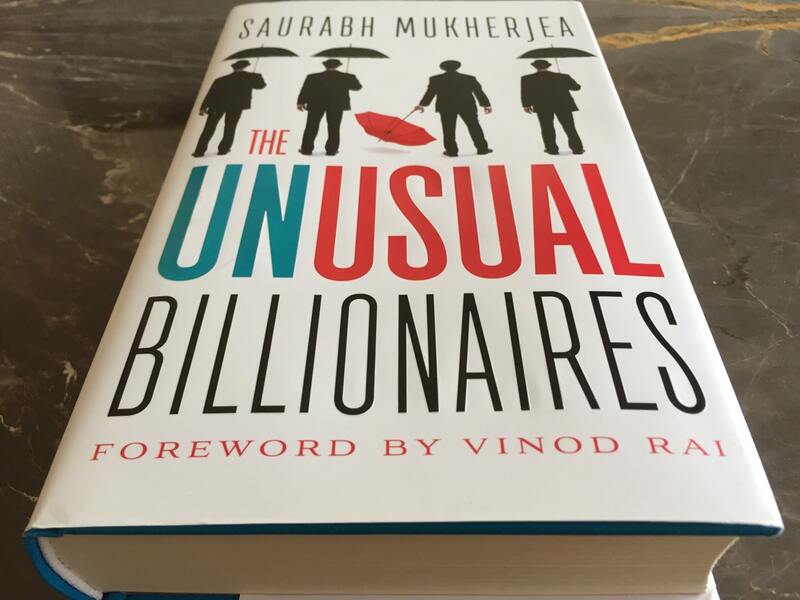 Saurabh Mukherjea of Ambit capital has put together a gem of a book The UnUsual Billionaires and the amount of research he and his team has done at Ambit capital to create and build coffee can portfolio is awesome. I divide the book into 3 parts. The first part is the first chapter – “Searching For Greatness”. This chapter deals with details the formula used for coffee can portfolio. How the great companies can be identified, what formula he used and more importantly why he used the formula along with backtesting done for 15 years of building coffee can portfolio since 2000. The formula is for last decade a 10% revenue growth every year along with ROCE of at least 15% every year. So in 2000, invest in companies that meet the above criteria from 1990 to 2000 period. Note the formula is 10% revenue growth every year and not at the end of 10 years a revenue growth of 10% CAGR. The difference being if you have a revenue growth of 20% and 5% for 2 years, you may have a more than 10% CAGR for 2 years but it is not 10% revenue growth every year. Coffee Can Portfolio or CCP has outperformed Sensex every year with some years beating Sensex by as good as 20% but more importantly, it has never underperformed Sensex. 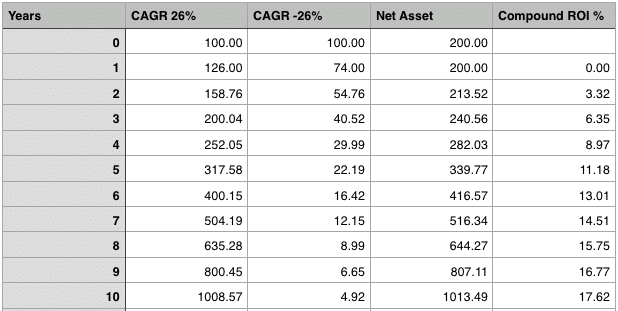 Only once the portfolio of 2011 outperforms Sensex by only 0.3%. To keep the first chapter short and interesting, the decade-long calculation has been moved over to Appendix 2. With every detail about the business, how they manage to grow their business to what they are now, how they beat the competition, what did the entrepreneurs do in the intial stages, their failures especially of Astral Poly, what is the work culture in each of those companies, how they adopted to use of technology. Every minute details about the company, management and how the focus of each of the above company has always been on the core business. It helped each company excel and how each rupee invested in these companies vs Sensex has fetched many times better returns. This part of the book not only helps investors but it also becomes important lessons for entrepreneurs. The focus of many companies shifts into expanding into diversified businesses and making a shift from core business but how these companies great companies could achieve big by focusing on building the core business for decades. I always thought knowing the company names will be enough but it turns out that this is the most important part of the book for investors. It consists of 2 chapter. First one is “Greatness Is Not Everyone’s Cup of Tea” where a 3 point approach for companies and how 99.8% of the time listed companies fails. Focus on the long-term (more than ten years) without being distracted by short-term gambles. Sensibly allocate capital whilst studiously avoiding betting the balance sheet on expensive and unrelated forays. How companies like Apollo Tyres or Maruti even could not live up to the expectations of being great. The last chapter of the book which is second chapter in the third part is worth reading the whole book. “A Checklist for Long-term Investors” and it gives you the checklist of what you should be looking for a company. I have already read this chapter twice. Does business depend on government regulations? What is the intensity of competition in the industry? Do promoters have political connections? What is company’s track record on innovations? And many other such checklist. Many points are identical to my investment checklist which make me feel awesome but also widens my perspective on them. Like I preferred an unique product but now my perspective has widened to not only hunt for a unique product but it can be a unique way to operational efficiency or a unique way to handle dealers, distributors etc and is termed as a competitive advantage. A long-term investing example I read in the book that I like to share here with everybody is if you invest 100 Rs in 2 stocks. One growing at 26% per year and other is going down at the same rate, you still make 17% CAGR annually after a decade. A couple of key things to note in the above numbers are. 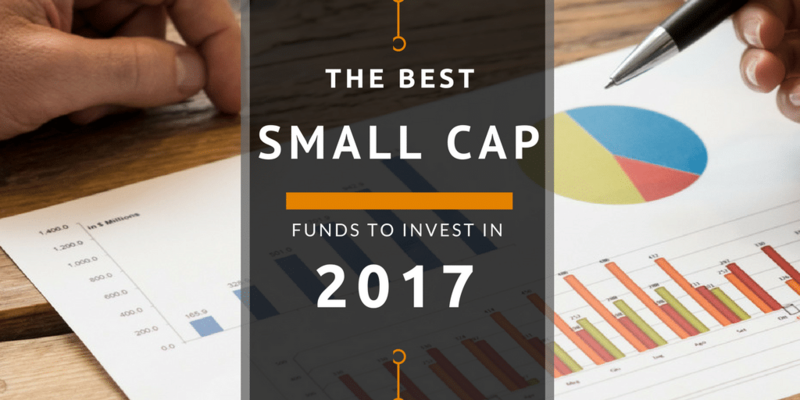 One investment has lost its value by more than 95% but we still make an annual return of over 17%. Right investment decisions can make up for your wrong investment decisions even if they remain as wrong for a decade and keep on making losses. We don’t make any return for the first 3 years of our investment. Even less than FDs but patience pays off. We may assume patience is the key here but it is not only the patience but to let the profits ride in your right investments. Applying the same on my portfolio, I had thought to book awesome profits that I am making in Jubilant Lifescience in my portfolio but now has decided against it. One Ambit’s analysis grade is in the book though it is beyond the scope of the book. They call it Cash flow / EBITDA ratio. It is a ratio to check company’s ability to convert operating profits into operating cash flows. The company can report a profit by pushing its inventory to distributor or dealer channels but the inventory may not be sold to a customer and so will not result in a cash flow. A lower Cash Flow to EBITDA number can raise a red flag. Ambit’s analysis grade uses eleven such parameters to identify red flags and I am keen on knowing them. Check out “The UnUsual Billionaires” on Amazon India.